Springtime in France is finally here. We can expect to see longer and warmer days, and a lot more traffic on the roads. Train journeys can be very relaxing, but to uncover France’s hidden gems, driving is better. Before you get behind the wheel and hit those nationales, here are some quirks about driving in France that you’ll want to keep in mind. It’s no exaggeration to say that the most misunderstood and confusing law on French roads is priorité à droite. Even French drivers often struggle with it. You can be happily speeding down a main road, and a car suddenly pulls out in front of you. If they’re coming from your right, they likely have the right of way. That means, if you run into them, it’s 100% your fault. 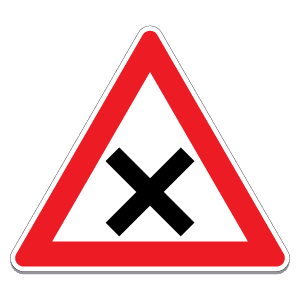 Look out for priorité à droite signs before a junction, but often they aren’t posted. You need to look at the lines on the ground for traffic coming from the right. If there are no white lines, then oncoming traffic has no obligation to STOP or Yield/Give Way/(cèdez le passage). There are other occasions when the priority may shift from the road you are using. In general, a yellow diamond indicates that you have priority. 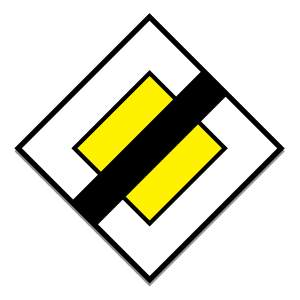 A yellow diamond with a line through it means you no longer do. Be careful with roundabouts. Not long ago, the priorité à droite rules applied, and cars entering the roundabout had priority. This is still the case for the famous Parisian roundabout around the Arc de Triomphe – meaning you need to stop in the middle of the circle to let traffic in. 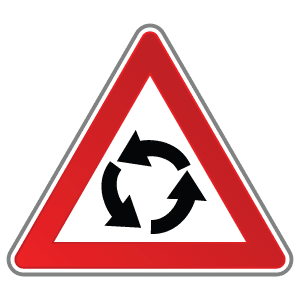 This rule has changed for most other roundabouts in France, and now there’s a cèdez le passage sign or white lines where the road enters the roundabout. If there isn’t, however, the traffic entering the roundabout has the right of way. Driving through towns and villages you will rarely see a reminder of the national speed limit (50 km/h). 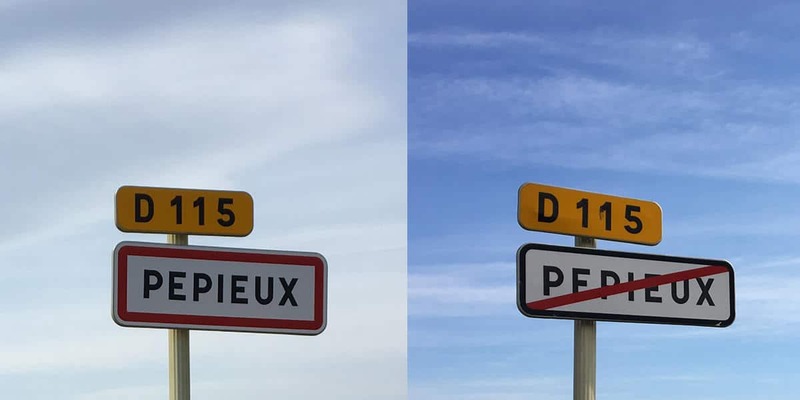 It is common knowledge in France that the road sign stating the name of the town or village (usually a red bordered rectangle) is the start point of the 50 km/h speed limit. 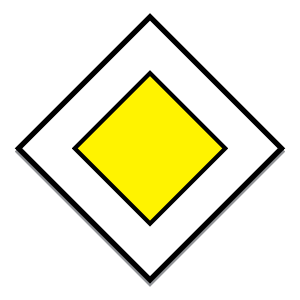 To signal the end of the urban speed limit, you will see the same sign bearing a diagonal line through it. For the most part, the speed limit on French autoroutes is 130 km/h – reducing to 110 km/h if it’s raining. On most other main roads, the national speed limit is currently 90 km/h. But, a big change comes into effect on 1 July 2018, when the limit on main roads without a central divider drops to 80 km/h. There are huge protests to this reduction, but it will still be going ahead, so watch out – the speed cameras will be ready even if you aren’t. 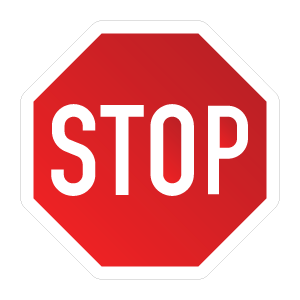 When you see a stop sign, the wheels of your vehicle must stop at the line on the road. Slowing down and just rolling over the white line (what we call the ‘California stop,’ back home) is not tolerated. Failure to stop the car completely can result in 4 points off your license, a 750€ fine and a suspension from driving for 3 years. If you get pulled over by the gendarmes, the first thing they will ask for, as you would expect, are your documents. You will need to show a valid driver’s license, of course, but also some proof that you haven’t stolen the car. You must present the Carte Grise or registration document. Since this document also proves ownership, it may be a good idea to keep a color copy in the car, but the police will want to see the original. If you only show them a copy, you’ll have to go to the police station afterward and present the original. The CT (Controle Technique – roadworthiness MOT equivalent) should also be in your documents folder in the vehicle, and the small paper displayed on the windshield. French car insurance covers the vehicle and primary owner, with certain other drivers automatically covered within the policy. You should have a small green paper on the windshield proving your insurance is valid and up to date. Eating and drinking at the wheel technically carries an on-the-spot fine of 75€. Holding or using a mobile phone at the roadside, even if your car is stationary, can cost you 135€ and three points off your license. Sitting in traffic? Don’t be tempted to adjust your make-up – that’s a 75€ on-the-spot fine, too. If you hold a French driver’s licence, you start out with a maximum of 12 points. If you’ve committed enough offenses to lose all 12 points, your license will be invalid. And if you do not yet hold a French license, don’t think you can escape the fines. French speeding tickets are now finding their way to owners of foreign licenses. Please note that if you are a resident of France and commit a driving offense that costs points, you are required to exchange your foreign license for a French one. Luckily, Renestance can help you with that last part! Hi, Dennelle, this is a fabulous article! I have shared it to my Facebook Page. 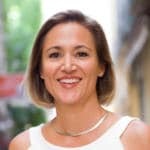 I found your website on Ladies in Languedoc, and will no doubt be following up with you at some point. Thanks again, for a superb post.